No matter which part of the state you live in antique auctions in Texas are available almost any weekend, as well as many other nights of the week. Antique shopping is fun, but auctions add excitement that you can't find anywhere else. An antique auction can be a lot of fun for the antique collector. It allows you to compete with other collectors as well as dealers for the newest items to come on the market. Whether you are looking for a Victorian Eastlake settee or an ancient Chinese tea pot, there are auctions that specialize in those items. You can also attend an auction that is a collection of random items from estates and other collectors. Which auction you choose should be determined by what you are looking for and how specific that item is. Many people just enjoy spending time at auctions looking at the variety of objects that come up for sale while others go to acquire a specific item for their collection. Auction prices are usually set by the auction house and based on many criteria including what a similar item has sold for at auction. The auction price is where the auctioneer will start the bidding. You will also want to keep in mind that there may be other costs involved. Buyer's Premium - The buyer's premium is a percentage that is added to the final agreed upon price of the item. If you won an item for $100.00 at auction and there was a 15 percent premium your final cost would include the $15.00 premium price. Tax - Taxes will be added to your item based on the final price, less the buyer's premium. Shipping - If you choose to have your item shipped or delivered there may be shipping charged added. It is important to keep these things in mind while bidding. Once you win an item you are responsible for all costs associated with that item. 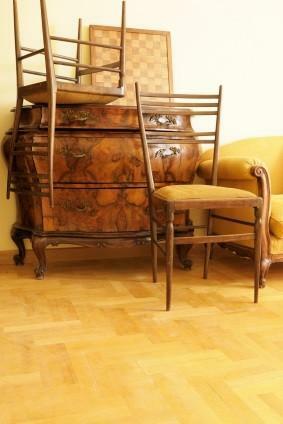 Once you have decided to attend an antique auction in Texas, you will need to find one near you. Certain areas will have more auctions than others. For example, you will be able to find hundreds of antique auctions around Dallas-Fort Worthwhile it is unlikely you will find one in the Abilene area that is held regularly. Here are a few popular auctions around the state. Austin Auction Gallery is located in Austin and has auctions every weekend. They feature antiques and collectibles, including china and glassware. Dallas Auction Gallery carries items from local estate sales as well as imports from all over the world. Antique Auction Centers holds auctions every Friday night in Dallas and carries items imported from France and England. Morton Kuehnert offers appraisal services as well as auctions of antiques of all sorts, paintings, collectibles and fine rugs. Ward Auctions specializes in European antiques, jewelry, and collectibles. They also do estate auctions on site. If your area of Texas is not listed you may be able to find a local auction at Auction Zip , a website that shows antique auctions in Texas by zip code. No matter where you go to attend an auction, it is always a good idea to set a limit and hold yourself to it. You can get caught up in the excitement of bidding and spend much more money than you planned. Remember that if you bid on an item and win it you are legally obligated to pay for the item. This is an important aspect to keep in mind when attending an auction. Spend time examining the items you are interested in before the auction starts and bid on those that you like most. Most of all enjoy yourself. Antique auctions in Texas are like everything else in the state; very big.